Pena Palace is one of the most famous tourist attractions in Portugal and exhibits a 19th-century style of architecture which bordered on sheer romanticism. 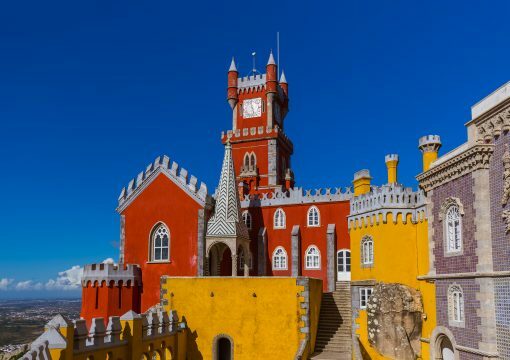 Largely considered as one of the “Seven Wonders of Portugal and also a UNESCO World Heritage Site, this palace has a great mix of mythological statues, vividly painted terraces, and decorative battlements which stand in sharp contrast to the green and luscious forests surrounding Pena Palace. Pena Palace was commissioned during the reign of King Ferdinand II who spent a good part of his later life in the palace with Elise Hensler, his second wife. 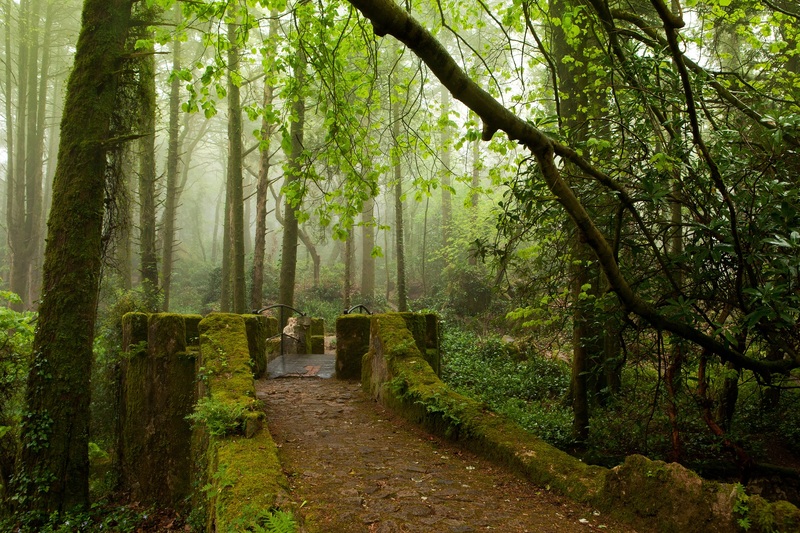 While the enchanting interior of the Palace reflects traditional decor in the early 1900’s, there is also a plethora of hidden pathways which make this a truly unique encounter. 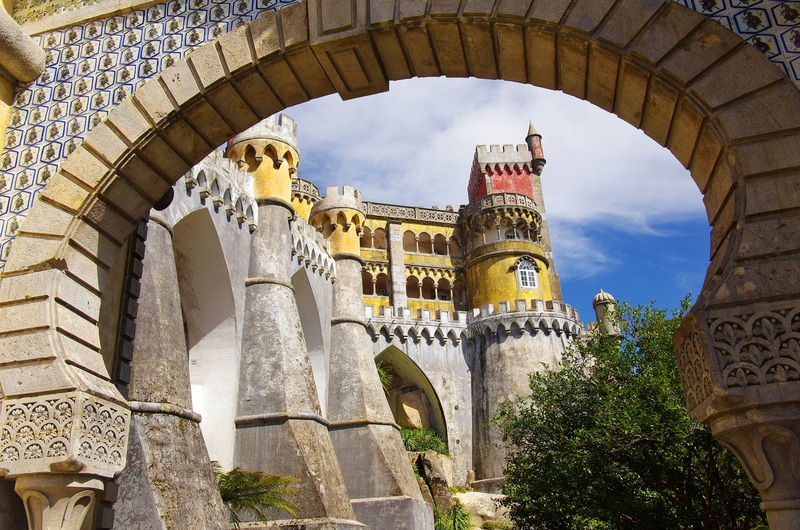 Simply put, the Pena Palace is a must visit attraction for those who visit Sintra and the stunning viewpoints are just another reason why it can get quite crowded here during peak season. 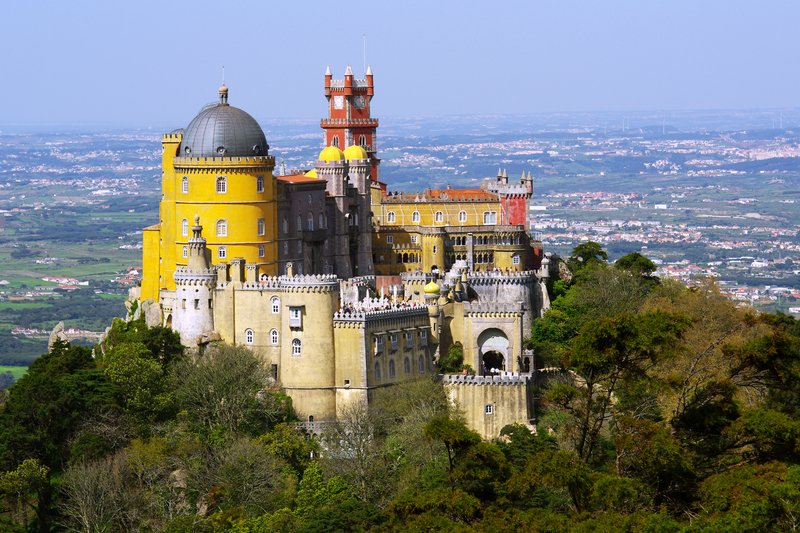 The palace also holds importance in Portuguese history as Queen Amelia spent her final night in this iconic home before escaping to Brazil. Housing many original furniture and fittings, the state rooms are now restored and look just like it did back in 1910. In recent years Pena Palace and the Landscape of Sintra was declared as a UNESCO World Heritage Site, and it still consists of many original furniture and fittings as seen in the state rooms which are now restored and look just like it did back in 1910. Grotesque and peering down from above, this 19th-century building is often remembered by visitors for the gargoyles standing above the entrance but regardless, Pena Palace is unforgettable in every other way.